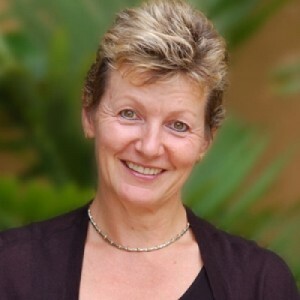 Maria Jagla has been named General Manager of Four Seasons Resort Bora Bora.A true veteran of Four Seasons, her appointment in Bora Bora is her 10th with the company. Jagla has worked in management positions around the world, including the past 23 years with Four Seasons Hotels and Resorts. She makes the move to French Polynesia from Egypt, where she served as General Manager at Four Seasons Resort Sharm El Sheikh. Jagla has worked globally with Four Seasons, including Four Seasons Hotel San Francisco, Four Seasons Hotel New York, Four Seasons Hotel Chicago, Four Seasons Resort Maui at Wailea and Four Seasons Hotel London at Park Lane. Her career with Four Seasons began at Four Seasons Hotel Sydney as the Executive Housekeeper. Her experience prior to Four Seasons was earned in Switzerland, Germany, England and Australia. Jagla underwent her vocational training in Munich, at Kermess Hospitality Management School and Hotel Deutscher Kaiser, where she apprenticed in hotel and catering management. A native of Rieshofen, Germany, she speaks English, German, French and Italian. Maria and her husband Tomas look forward to spending most of their free time on and under Bora Bora’s famous turquoise lagoon. The Resort’s accommodations include 100 overwater bungalow suites and seven inclusive beachfront villa estates, all designed with traditional thatched roofs and decorated with indigenous artwork. Dining options at the Resort offer a vast selection of creative culinary experiences, from Polynesian to French and South Pacific fusion. A full-service Spa, balanced by the powerful rhythms of the Pacific Ocean and the secluded tranquility of the island’s lagoon offers a combination of relaxation and exhilaration.